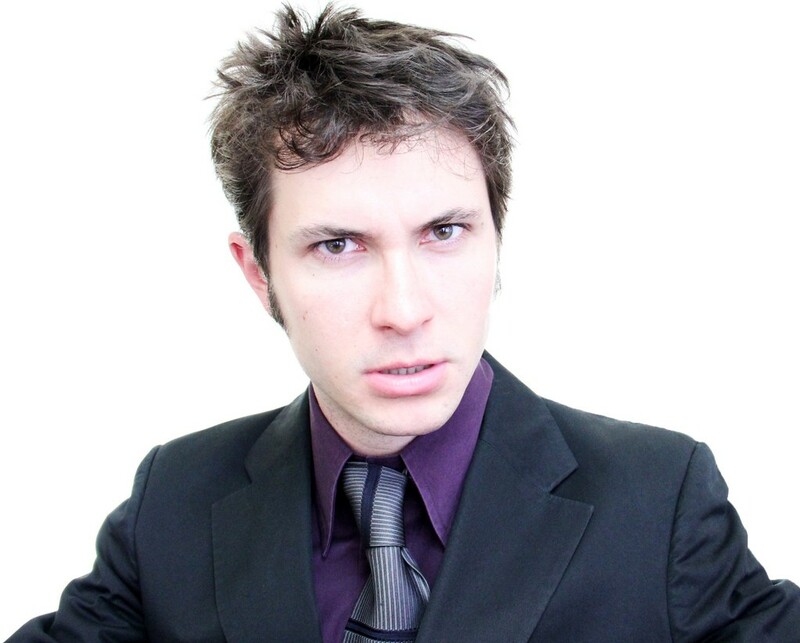 The die-hards among my readers have likely come to recognize Toby Turner’s name, even if their YouTube exposure is minimal. Turner has built an impressive online following of 3 million plus subscribers across his channels and specializes in social media marketing when not making me die laughing with literal video game trailers or his original comedic songs. He’s also the wickedly fun recurring character of Satan on The Fine Brothers’ music-centric transmedia sitcom MyMusic. Needless to say, I snapped up a chance to catch Toby’s first Canadian stand-up gig – for free! – at the Elgin Theatre. The gig was sponsored by Rogers, which is probably why it was so poorly organized. The line-up looped around a large block, with store owners and security threatening those of us with nowhere else to go, lacked any sort of event security to manage such issues and worse, once inside, it descended into this chaotic throng of people trying to check-in via their last name at lines you couldn’t see through the masses. One mother I ran into was furious because she had three children with three last names and thus, had to queue up in four lines. Why this check-in procedure couldn’t have been completed while we waited outside, I do not know. Oh wait, I do: Rogers. But I digress. Toby himself is as endearing live as his videos, which are often head-spinning affairs in that Turner can switch topics on a dime, sometimes never finishing his original thought. One had the sense that Turner was playing to the YouTube audience, even creating a live daily vlog on stage. It worked well for the audience, being as the vast majority were YouTube followers. In a regular stand-up arena, he would come off distracted or unprepared. Frequently, Turner returned to his phone to figure out what he wanted to say next, and if it was a shtick, he should drop it for a broader appeal. I thought it was perfectly Toby, though, as was the way he fumbled to remember chords to songs called for by the audience. Blending in performances of his musical comedy with banter about Canada (Tim Horton’s got its inevitable mention, to which I say: Toby, it began as a Canadian company and was merged into American), Christmas shopping for zombies and the end of the world, Toby managed to run overtime for the performance proper and left the audience demanding more. A parody of Coldplay’s “Yellow” about his Canadian appearance kicked things off, with audience shouts often dictating the direction of the show. Calls for fan favourite songs were often honoured, or at least apologized for (Turner couldn’t remember how his Sugarcane song went, to which one enthusiastic fan yelled that she would sing it for him). Speaking of singing, it was impressive to watch the thousands sing along with each musical interlude, as if Turner were a rock star. And honestly? He kind of is. Turner is also incredibly gracious and humble, allowing a Q&A portion to derail into a continued performance slash autograph signing from the stage slash Q&A moments. It actually reached a point where Rogers flashed a message on screen for him to wrap up now. Turner ignored it for a few more minutes, before settling in to sign for every single fan that wished to meet him. Sadly, my physical limitations prohibited standing for the inevitable hour, but there’s always next time. I fully anticipate Turner making a successful launch into stand-up as a full-time gig if he so desires. Highlights of the performance included an impromptu “Lazy Vlog” done on-stage during the show, the live performance of the Literal Trailer For Dead Island, songs “Safety Torch”, “I Can Swing My Sword” and “Dramatic Song”, and Turner’s genuine delight for performing. If, for some reason, you haven’t yet joined The Audience, you can check out his song/fun Youtube channel here and check out Toby’s vlog YouTube channel here. For now, I leave you with, as Toby would say, one last dose of epicosity: “Dramatic Song”. Amber out!